The executive who helped revive the Co-operative Group, Britain's biggest mutual, in the wake of the biggest crisis in its history is to step down. 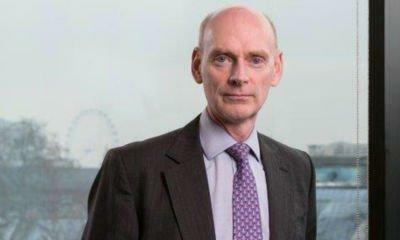 Sky News has learnt that Richard Pennycook has informed the Co-op's board that he plans to quit, with Steve Murrells, who runs its food operations, expected to be named as his successor. An announcement is scheduled to be made later this week, although a source said it could be brought forward to Tuesday afternoon following enquiries by Sky News. Mr Pennycook's departure will come less than a year after he asked fellow directors to sanction a big pay cut in a symbolic move which reflected the mutual's transition from crisis to recovery. A black hole in the balance sheet of the Co-op's banking arm led to the Group relinquishing overall control of the division in 2013, and paved the way for a radical overhaul of the organisation's governance and structure. Under Mr Pennycook and Allan Leighton, the chairman, the Co-op has sold a number of businesses, including its pharmacy and farming operations. A former finance director of Wm Morrison, the supermarket chain, Mr Pennycook joined the Co-op in the same role in 2013. He was promoted to the top job a year later when Euan Sutherland quit after media coverage of his multimillion pound salary. Although Mr Pennycook is regarded as having done an excellent job at the helm, he will leave amid unresolved questions about the future of the Co-op Bank. The Co-op declined to comment on Tuesday.